We are super excited to be testing the latest and greatest carpet cleaners from Bissell and Hoover: the Bissell Proheat 2x Revolution Pet Pro and the Hoover Smartwash. Both of these carpet cleaners operate with the same basic principles in mind. They both use the relatively new two brush roll design and they’re both designed to be really easy to use, operating much like a regular vacuum cleaner. They both also come with an easily attachable hose, though the Bissell’s is slightly longer at 10 feet to the Hoover’s 8 feet. We tested them on medium pile test carpet using three stains: Georgia red clay, grape juice, and mustard, all of which were dried overnight and then vacuumed. The first test was two passes with the water trigger pressed and two without. The Bissell 2x, which we’ve already tested, did amazingly well, which was expected since it was the overall winner of our previous multi carpet cleaner test. 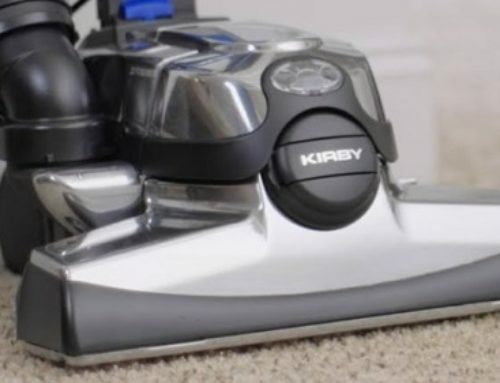 The Hoover Smartwash also did really well but since it does not have a water trigger but instead automatically switches from spraying water on the forward push to dry vacuuming on the reverse pull, we tried to take this into account when calculating the number of passes. Though I did give it one extra pass for reasons I will discuss in a moment. The Hoover Smartwash also did incredibly well after the first short test but not quite as good as the Bissell. Though I should mention that the Hoover’s performance was certainly well above average for carpet cleaners, just not as good as the Bissell. The Bissell Proheat 2x Revolution also has a feature called clean shot which sprays the cleaning solution directly on the stains by pressing the foot pedal. While a little messy, this certainly gives the Bissell a big advantage over the Hoover, though I did not use the feature until after the first test. The final tally definitely showed the Bissell cleaned the carpet better. I personally did not like the Hoover Smartwash’s automatic water dispensing and much prefer the Bissell’s manual water trigger to dispense water mainly because when you try to go very slow on the Hoover, like you should when cleaning tough stains, it keeps switching back to dry mode automatically. You have to go forward fairly quickly to make sure the water is dispensed. Also, I had quite a lot of trouble getting the power button to stay engaged with the Hoover Smartwash, so much so that I literally had to hold it down when testing the hose. I saw later when looking at reviews where other people had mentioned this that Hoover says the button has to be pressed on the lower left side in order to work. The Bissell Pet Pro also had a much better attachment set, mainly because of the extra two in one handheld unit, and though the build quality on the Hoover was much better than the lower end Hoover carpet cleaners, it seemed just a little less sturdy than the Bissell. They have the exact same water capacity at one gallon, which is decent, but you will have to refill several times in a whole house cleaning on both units, which is the trade-off for them being so light. The Hoover also has a slightly shorter power cord at 22 feet to the Bissell’s 25 feet. So while these machines represent a huge advancement in carpet cleaning technology and I would be proud to own either one, the Bissell Proheat 2x Revolution Pet Pro is in my opinion an obviously better choice than the Hoover Smartwash, especially considering the retail prices are just about equal.